HEXARMOR - MOOSE SAFETY SUPPLY, INC.
At HexArmor®, we believe safety is not a luxury – it’s a necessity. Since day one, we have worked hand-in-hand with our customers to deliver innovative and effective PPE solutions to keep their workers safe. Like the industry-leading companies we work with, we’re committed to continuous improvement and the highest standards of safety excellence. Every worker should be able to go home at night in the same condition that he or she went to work. Our mission is to provide the products that help make this a reality, for every worker, everywhere. ​SuperFabric® brand material palm provides ISEA Level A8 cut resistance for some of the highest cut-resistance available in the industry. Full Impact Exoskeleton™ with high​performance IR-X® smash guards provides greater impact protection than the leading competitor. SuperFabric® brand material palm provides ANSI/ISEA Level A8 cut resistance for some of the highest cut-resistance available in the industry. 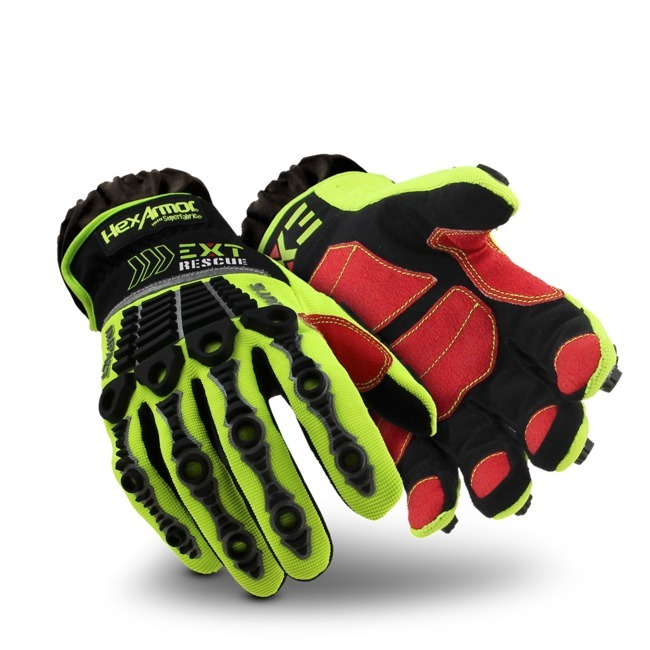 Elastic Velcro® wrist closure secures fit and maximizes comfort. 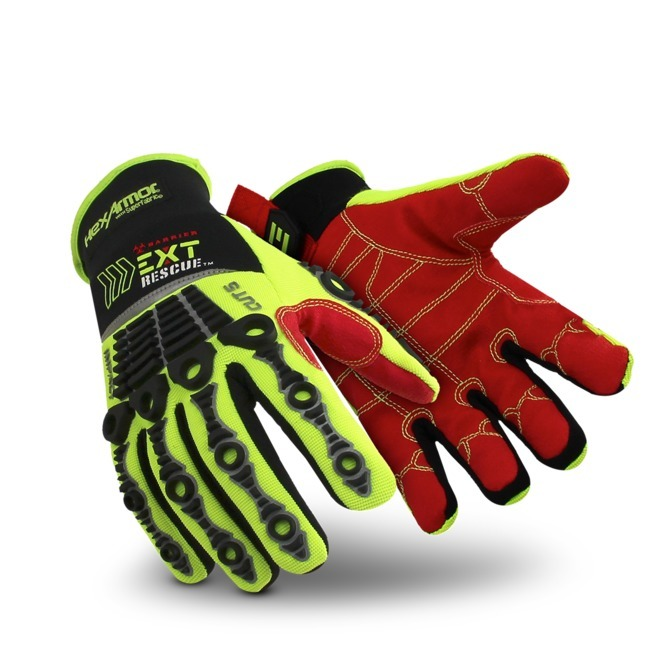 Durable TP-X® palm and fingertip reinforcement utilizes the highest-level of abrasion resistance while maintaining an oil-resistant grip. Interior layer of SuperFabric® brand material in the palm provides ISEA level A8 cut resistance for some of the highest cut-resistance available on in the industry. Waterproof H2X™ barrier lining passes ASTM F1670/F1671 requirements and meets OSHA Bloodborne Pathogen Standards (29CFR 1910.1030). 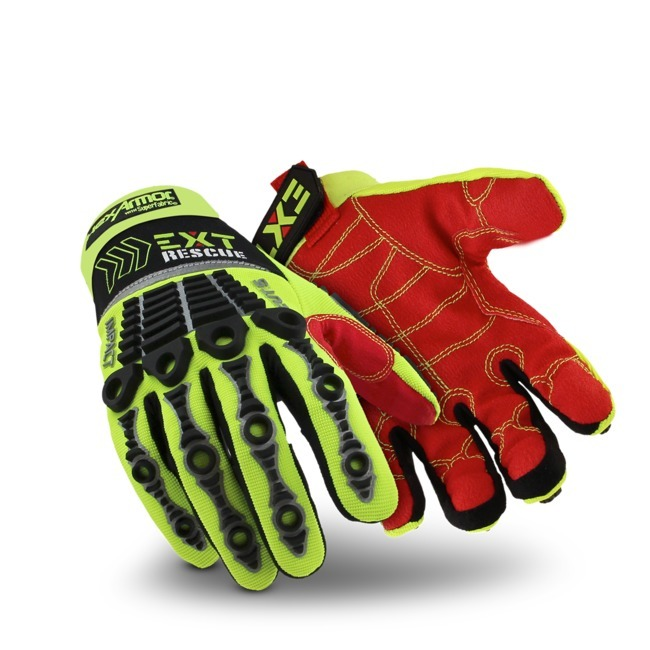 Durable TP-X® palm material is highly abrasion-resistant, and provides a strong grip. 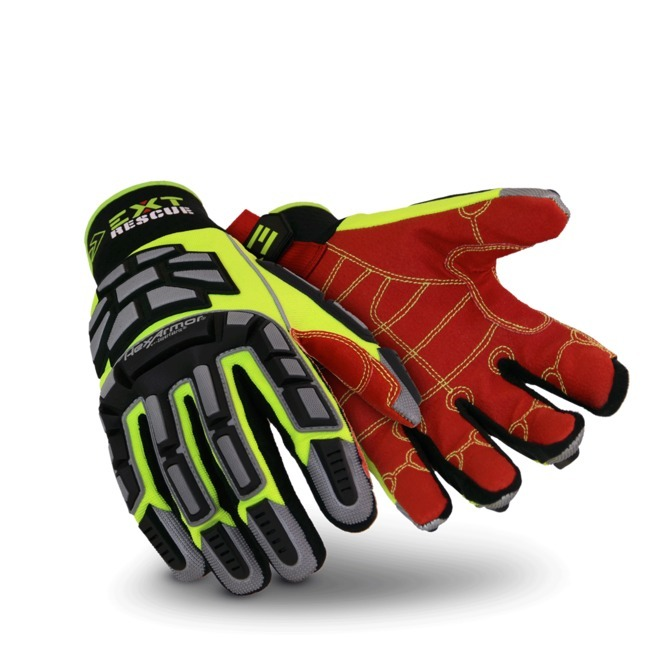 Superior back-of-hand impact protection prevents smash injuries. SlipFit® cuff with Velcro® closure provides great fit and easy on and off between calls. For ordering information and details on other HexArmor products we carry, click the button below.